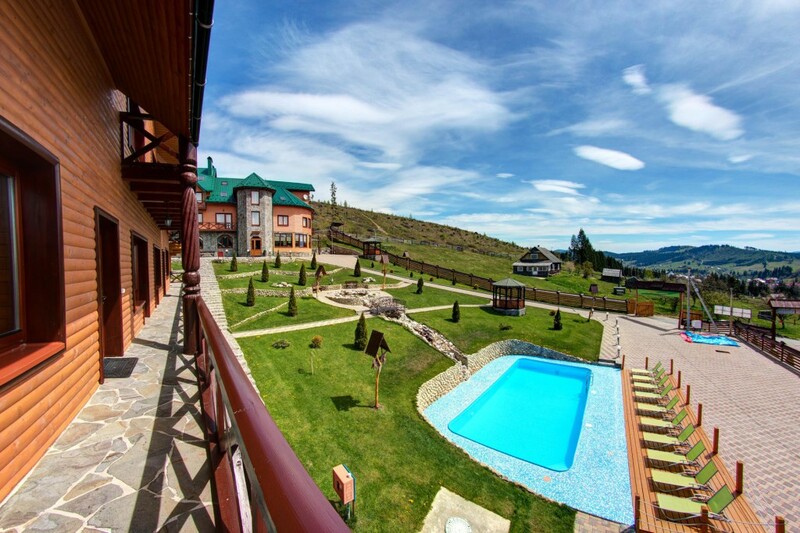 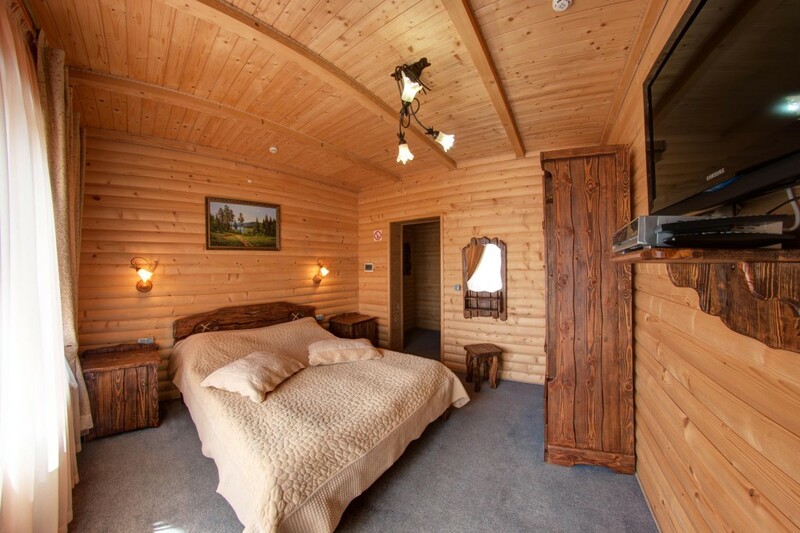 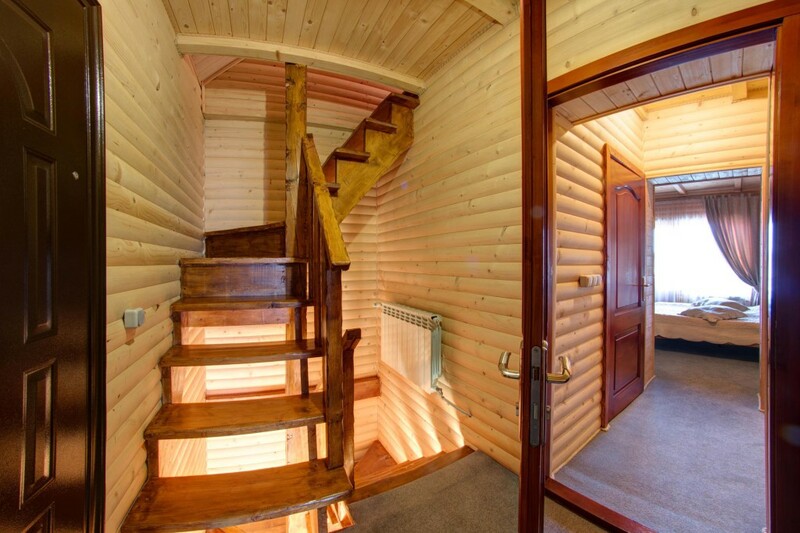 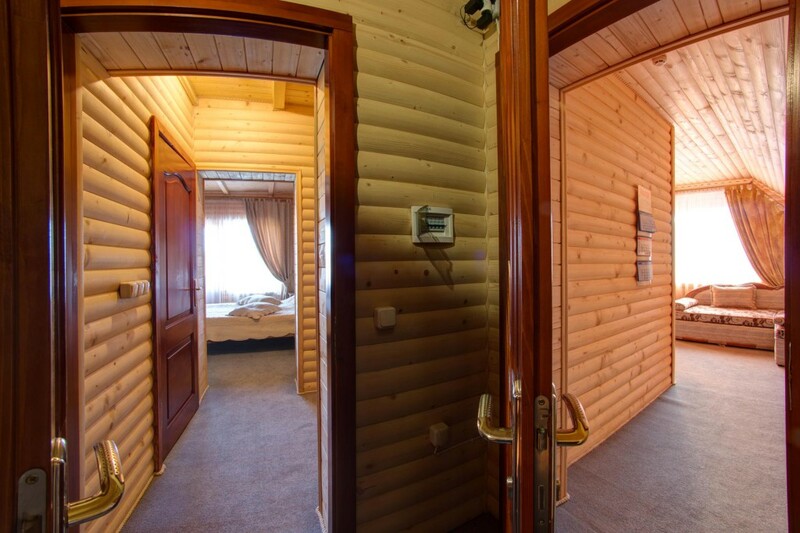 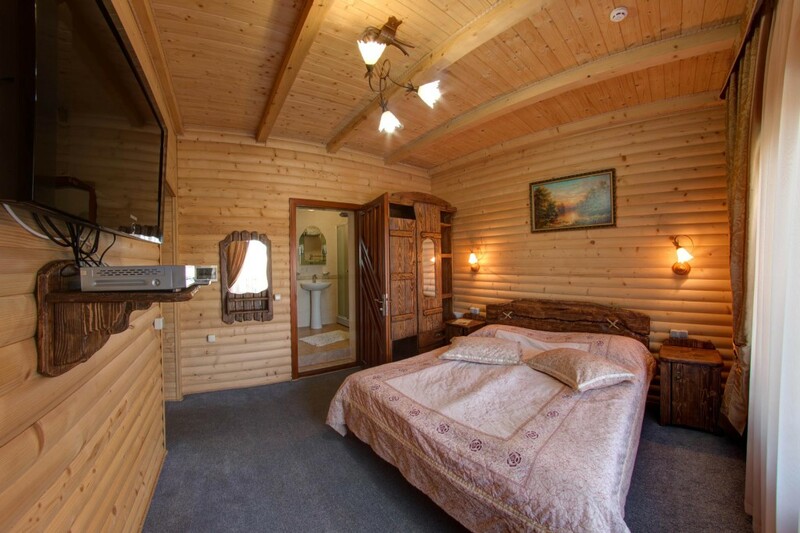 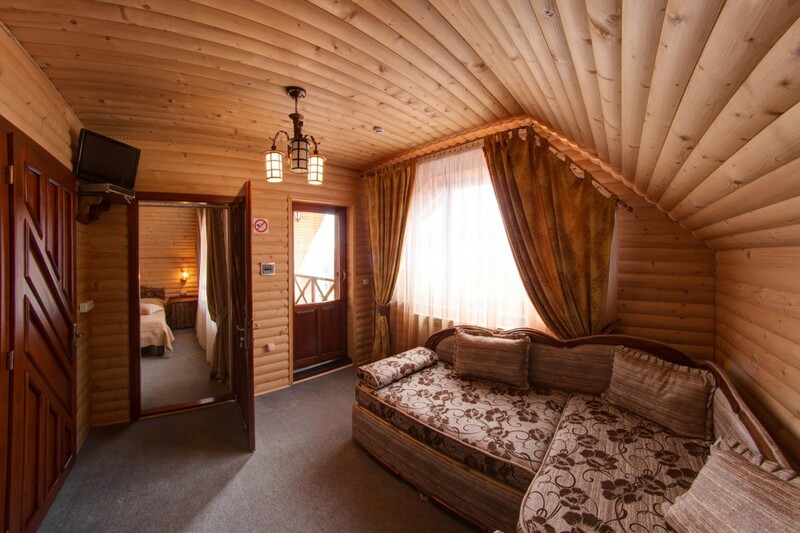 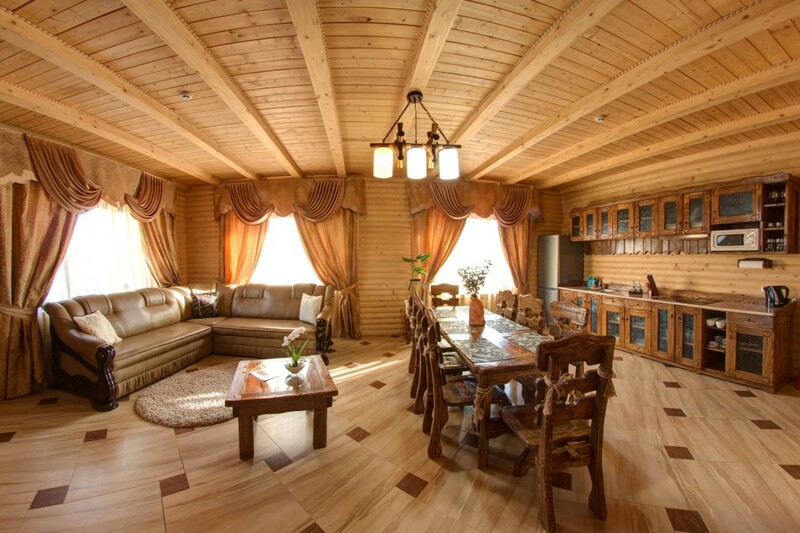 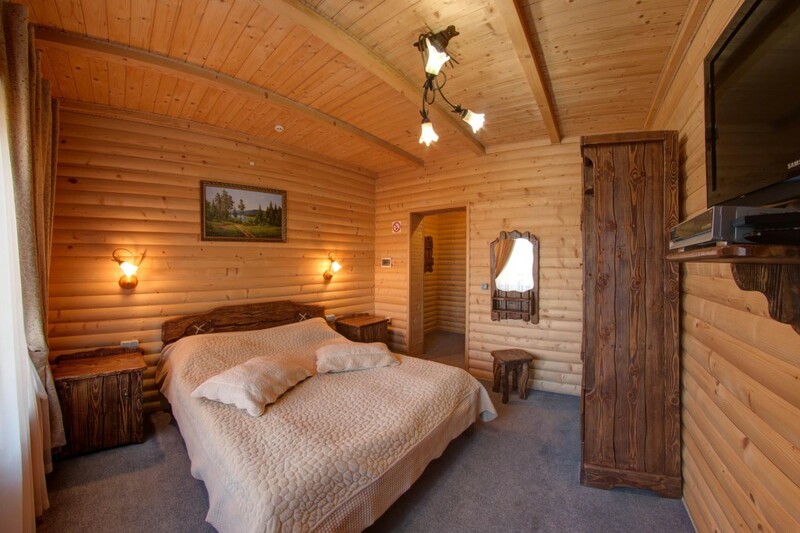 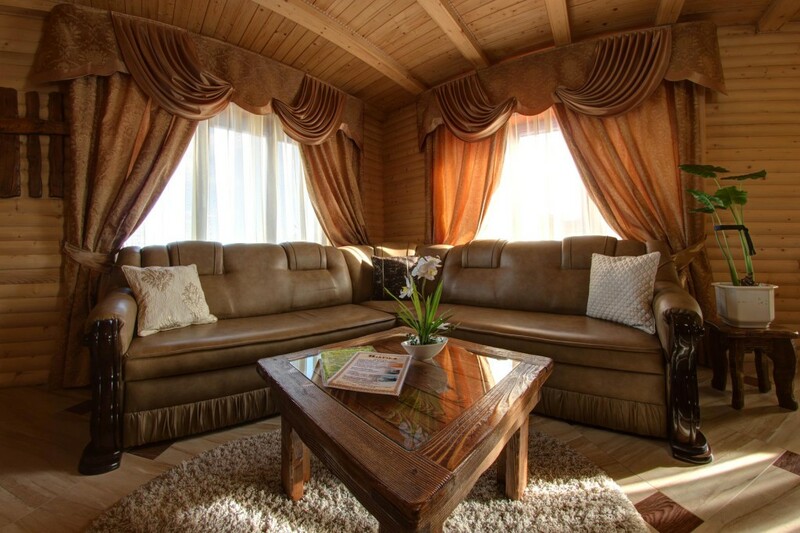 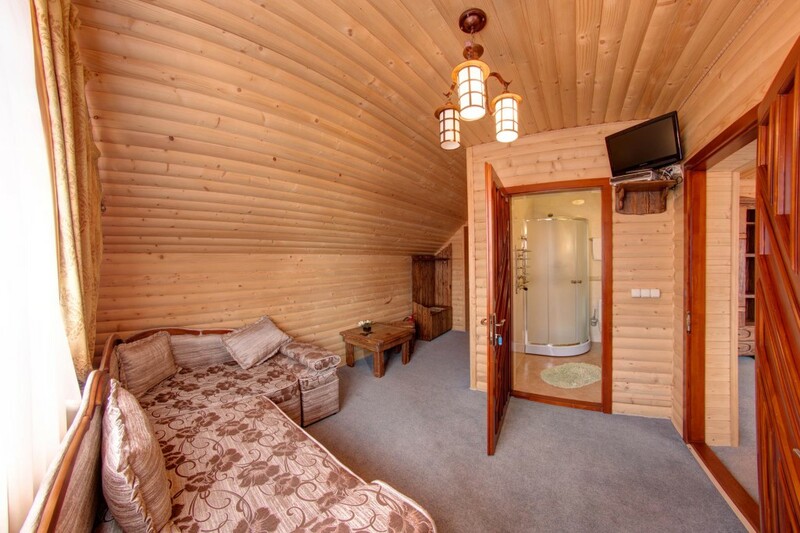 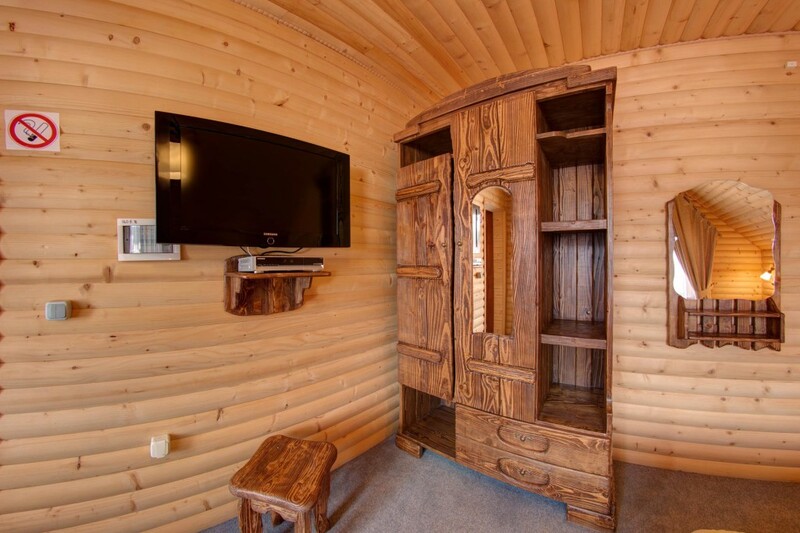 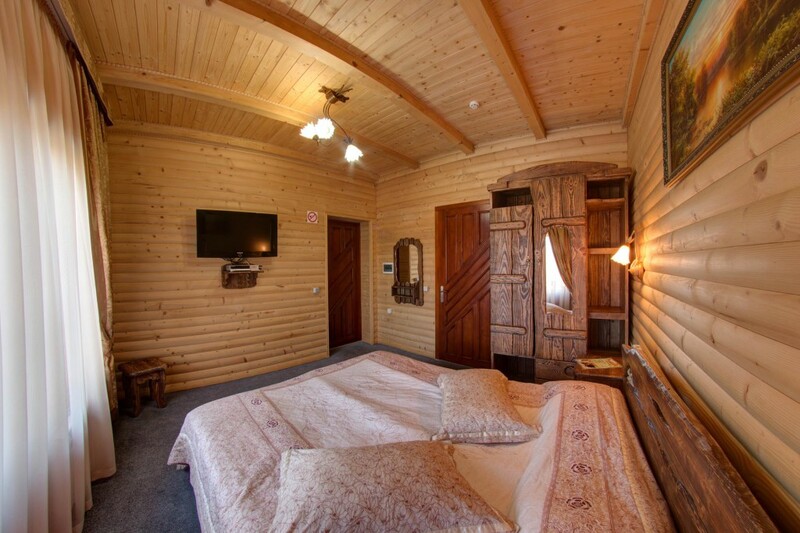 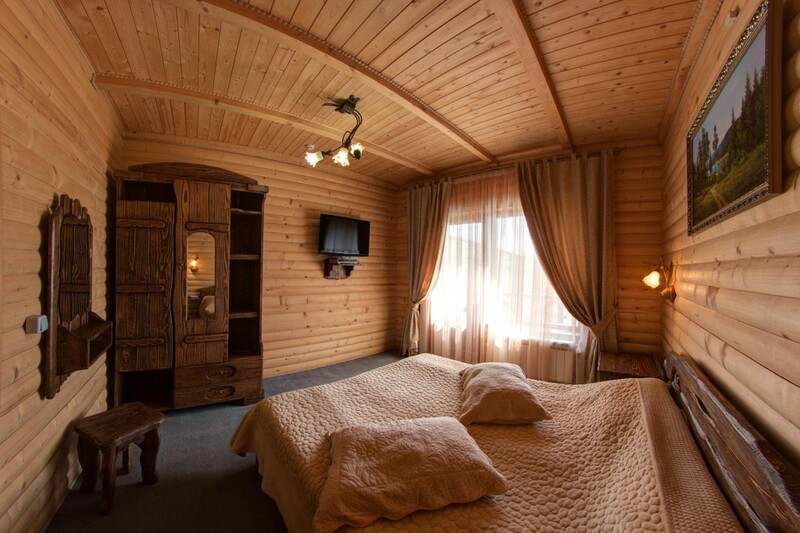 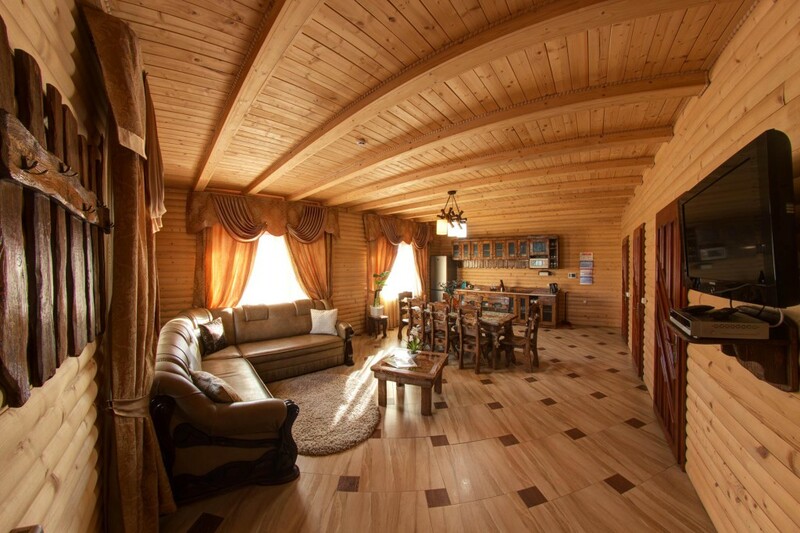 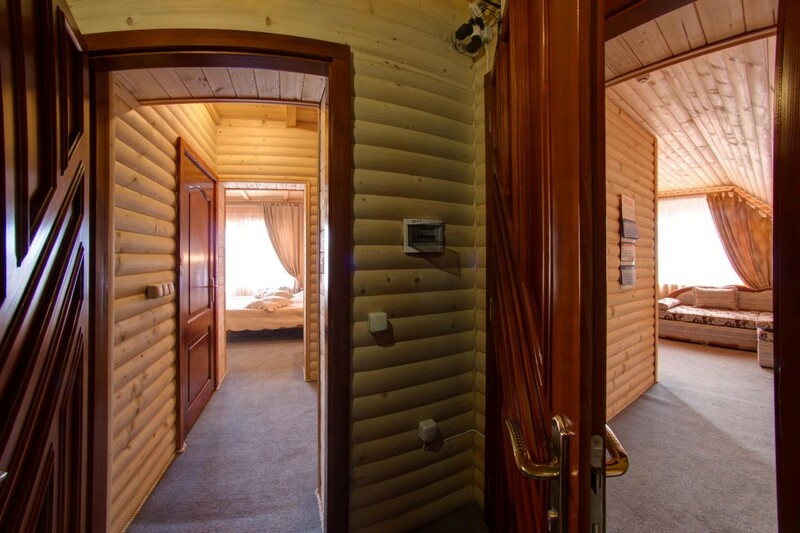 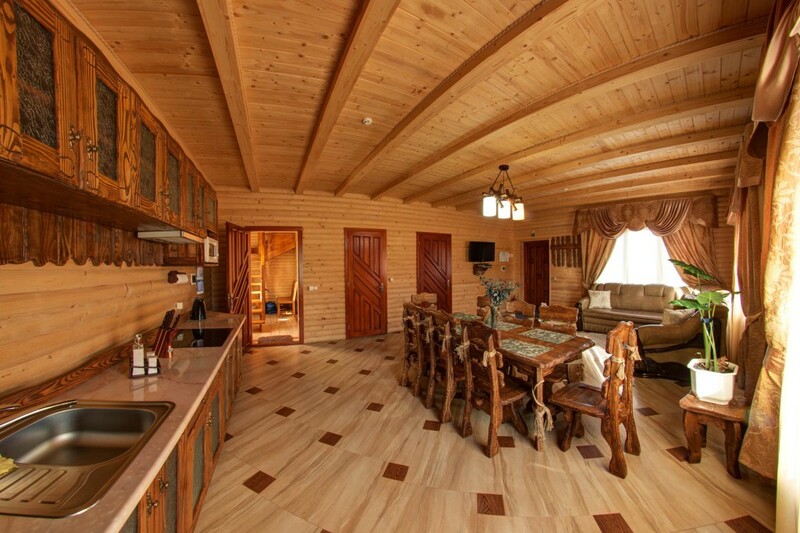 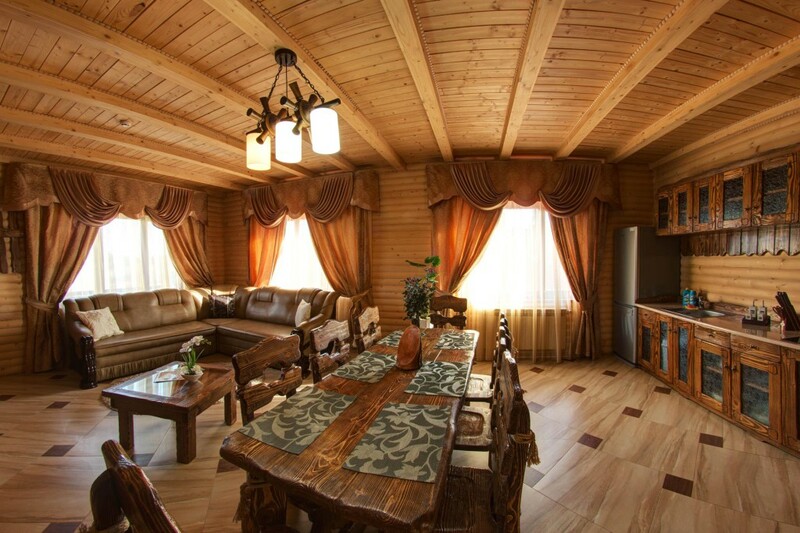 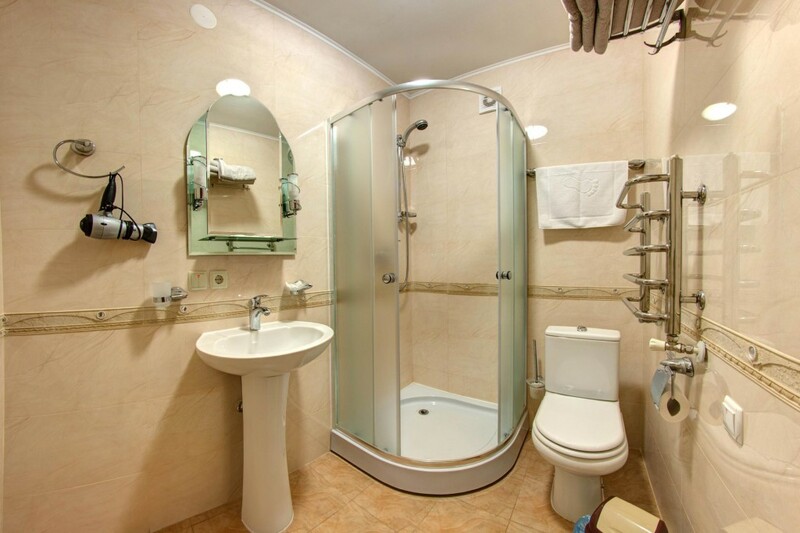 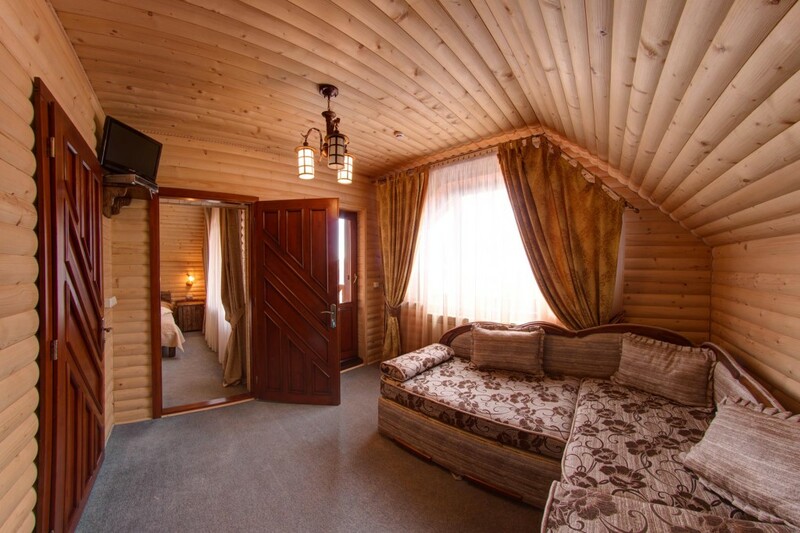 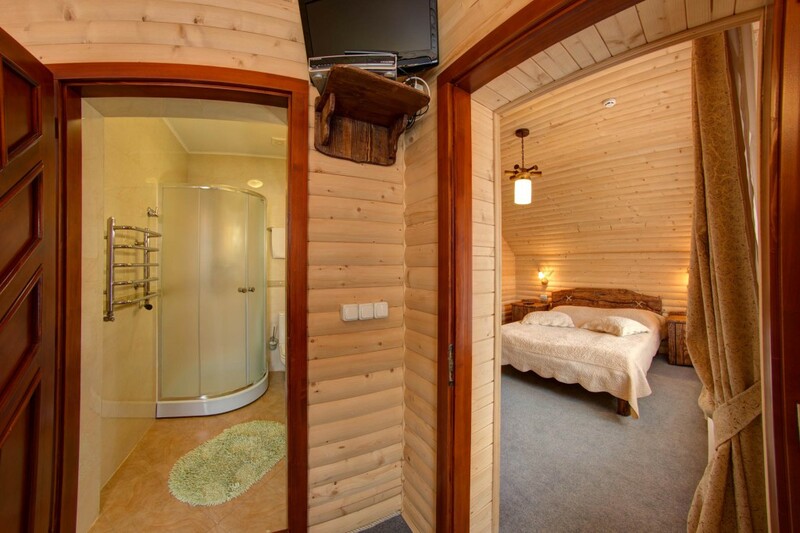 Luxurious cottage in Bukovel can comfortably accommodate 10 people. 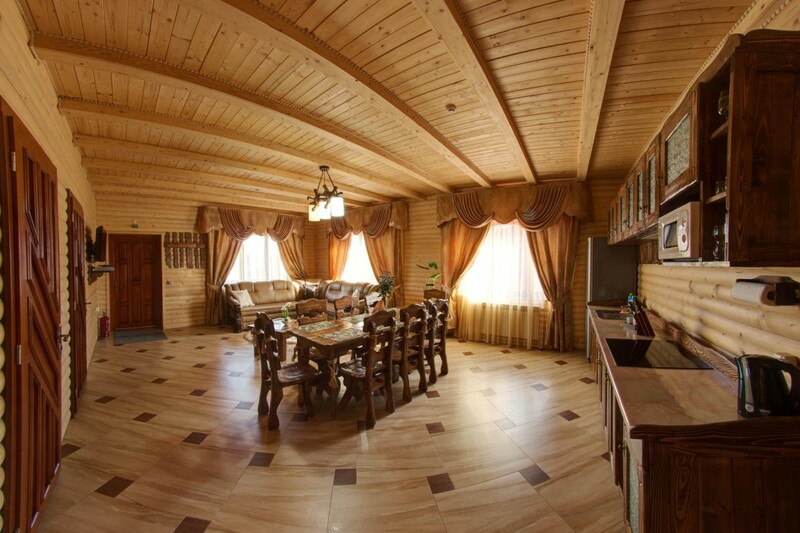 The cottage area is large enough, so each person will have enough space. 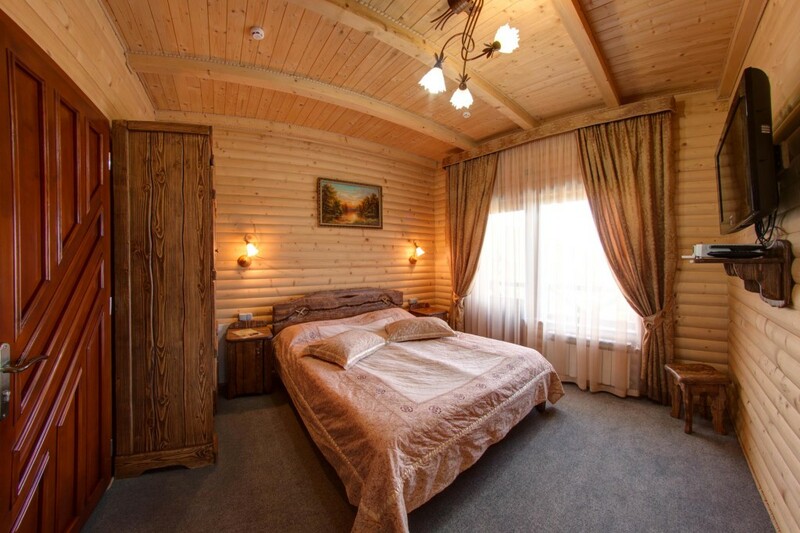 Comfortable beds in different rooms, which is very important for a comfortable sleep. 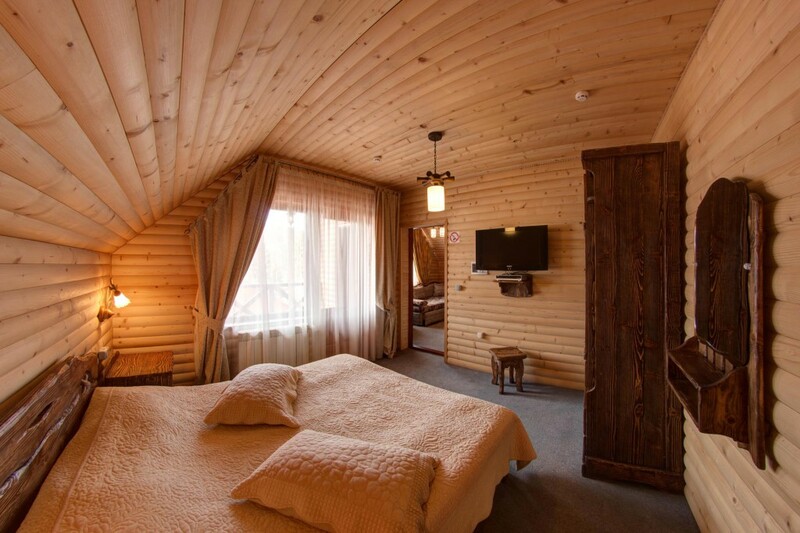 Each room provides a TV. 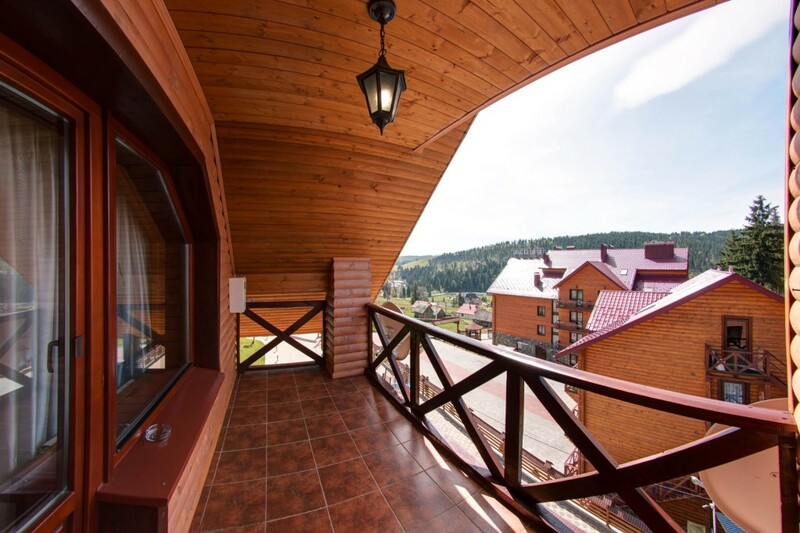 There are 3 balconies overlooking the hotel court yard and mountains. 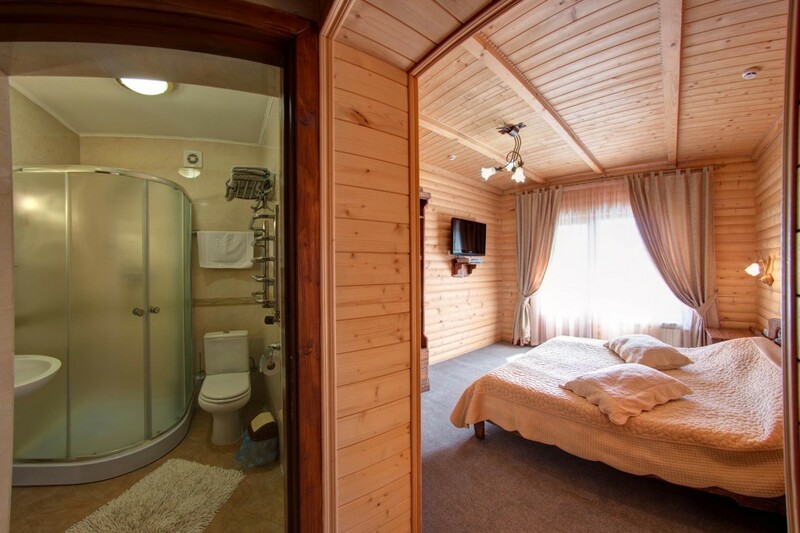 This cottage you can book directly on the site. 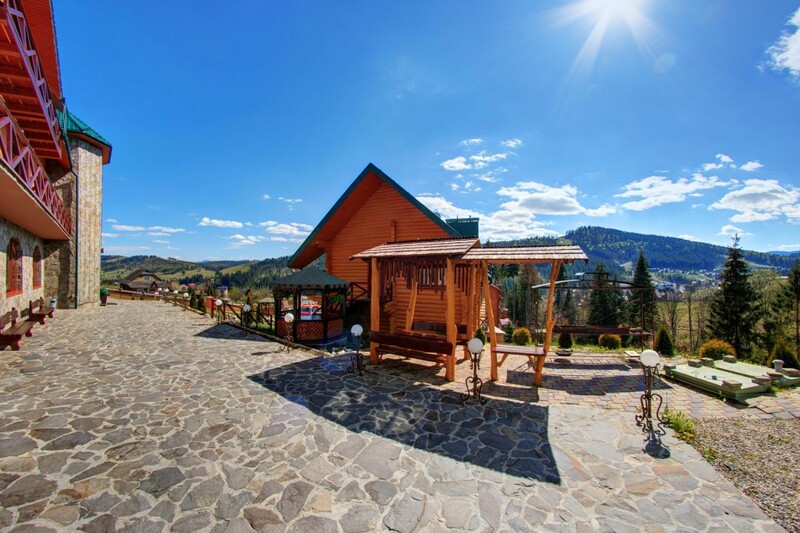 Check availability on desired dates and come to friendly Bukovel. 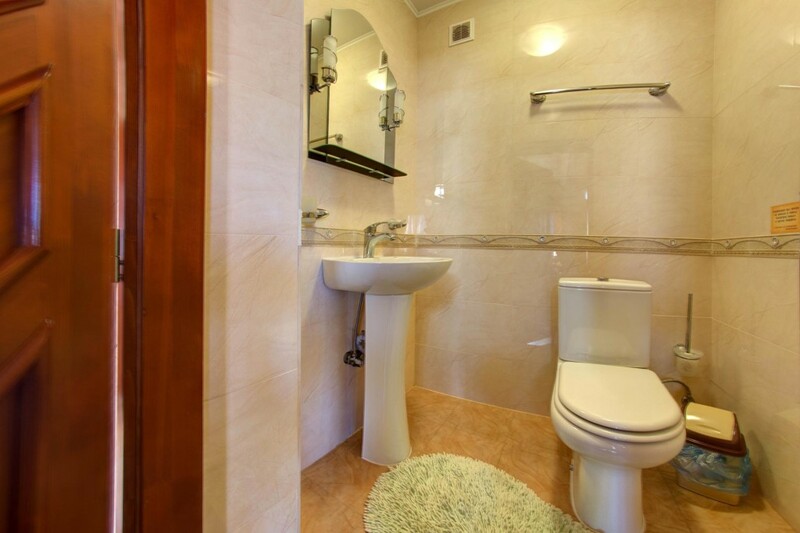 Our hotel complex offers a full range of services and developed infrastructure. 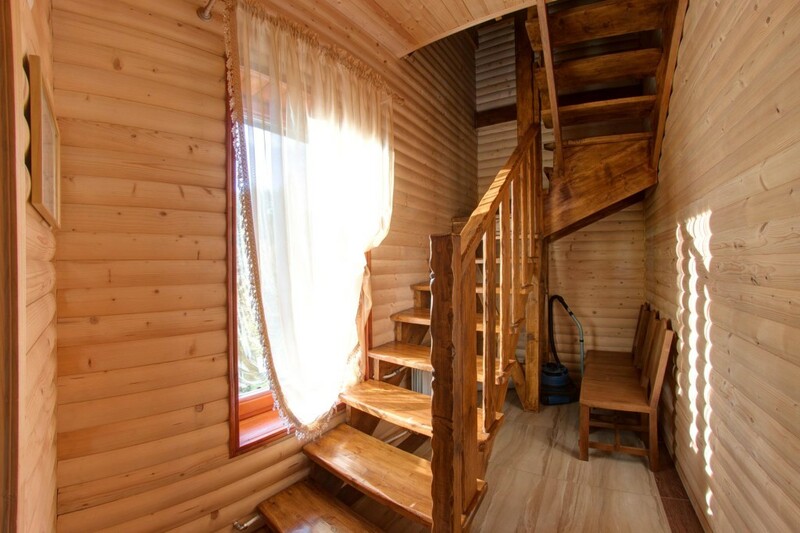 Assure yourself by arriving in Pidhiria!